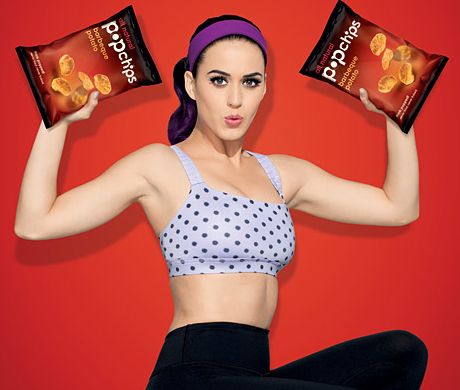 Katy Perry was styled in Lululemon for her recent Pop Chips (love them!!!) ad campaign. She’s wearing the Seaside Dot Print Inner Heart Bra. 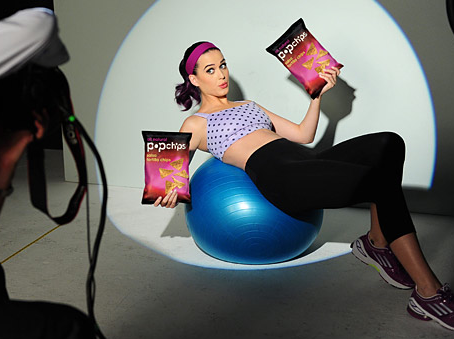 Did any of you see the Katy Perry movie, ‘Part of Me’ recently? My sister and I saw it last month when we were on a girls shopping trip to Seattle. Lots of fun! Definitely a girls night type of movie complete with Margaritas and 3D Glasses (Magic Mike was sold out).